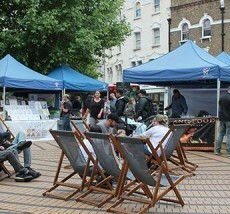 Love Wimbledon’s monthly market is on The Piazza again Saturday 1 & Sunday 2 July. Come along and enjoy a host of unique stalls featuring many local artisans offering a variety of hot and cold street food as well as original art, accessories, clothing, homewares, crafts and gifts. Saturday 1 & Sunday 2 July from 11am until 6pm on The Piazza, Wimbledon.